Step out in style with this gorgeous sleeveless frock with bloomer from the house of Dew Drops. 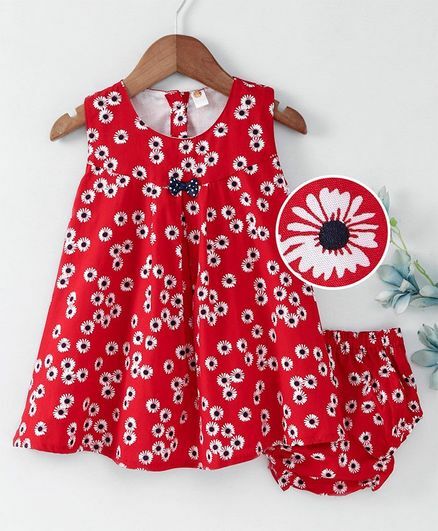 Adorable floral print on solid colour will lend a stylish look to your little girl. Back button closure provides fuss free dressing. Your princess will be comfortable all day long. Styling tip - Style this frock with cute hair band and sandals.